Are you ready to burn some rubber? 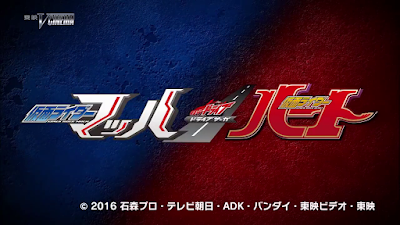 I hope you are because the first trailer for the second Kamen Rider Drive V-Cinema movie, Kamen Rider Drive Saga: kamen Rider Mach & Kamen Rider Heart is now online! Kamen Rider Drive Saga: kamen Rider Mach & Chaser is written by Keiichi Hasegawa and Riko Sanjo and both portions will be directed by Hidenori Isheda and will be released this November 11th. Pre-order the special edition blu-ray and you will also receive the DX Shift Heartron and DX Shift Ride Crosser. Everyone else see at :36 that there was baby toys around the place. This must take place sometime after Kiroko gives birth to Eiji.